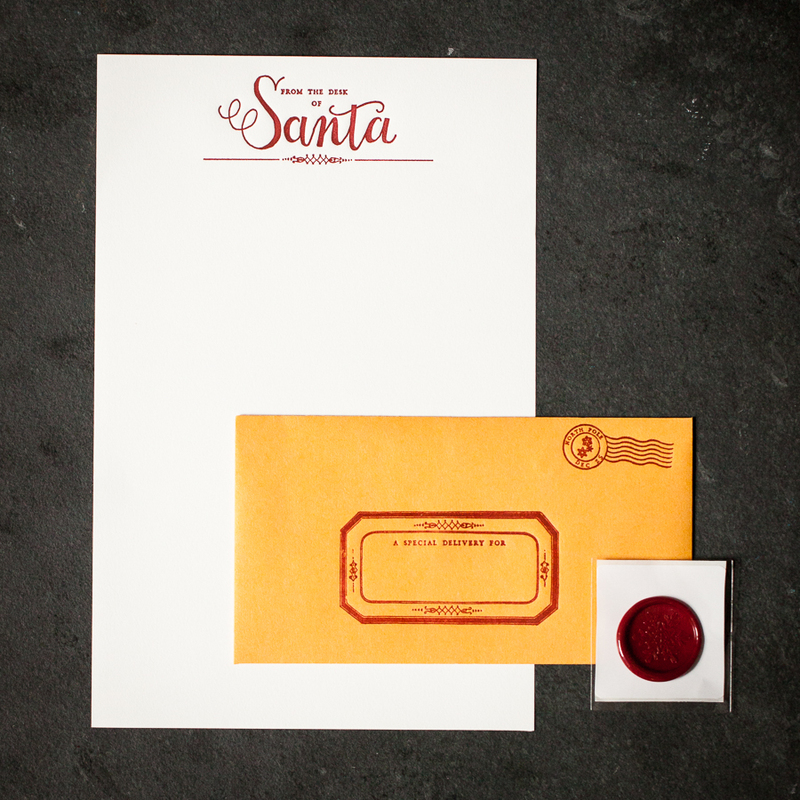 Customize your very own letter from the North Pole with this very special letterpress stationery set. Stationery set includes 1 writing sheet + envelope, both letterpress printed and 1 self-adhesive faux-wax seal to close the envelope. Writing sheet - 6.25 x 9"; envelope - 6.25 x 3.5"; - wax seal - 1"